Are you tired of overpriced floral arrangements and bouquets that are mostly greens? 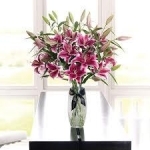 Here at Blooming Elegance we pride ourselves in delivering the freshest, most beautiful floral arrangement possible. We never substitute flowers for greens, we do the oppisite, we rarely use any greens. We believe our customers have the right to getting what they pay for. We value the worth of our customers and their faith in us. 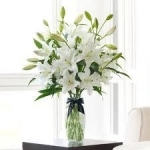 At Blooming Elegance in Yakima, WA, we want to work with you to create a floral arrangement or bouquet that completely fits your personality and situation. Whether you need an arrangement for a birthday or a bouquet for the happiest day of your life, we encourage you to book an appointment with us to fully customize your product today. With our knowledge and experience, together we will design the perfect bouquet for you. Work with us, and the bridal toss bouquet is free as our gift to you. Each bouquet is designed unique for each bride, but feel free to browse through our samples to get inspired. When that inspiration hits, give us a call and we will get to work right away on your special creation and then you can either pick it up or have it delivered to your door. We deliver daily so never worry about not having it in time for your special occasion. We offer free consultations and our designs speak for themselves so let us brighten up your occasion today! Find out why the Yakima Valley has been selecting us for floral arrangements since 2008.